Scroll down for training, plant study and research grants from BSBI and other organisations. Grants of up to £250 are available for aspiring botanists who want to go on short training courses. You do not need to be a BSBI member to apply, although members are favoured if there is competition for grants. Typical applicants would include recent graduates looking to start a career in botany or take part in interest-led botanical recording. Applications for training grants in 2019 have now closed and successful applicants will be contacted in the next few weeks. Applications open again in January 2020. 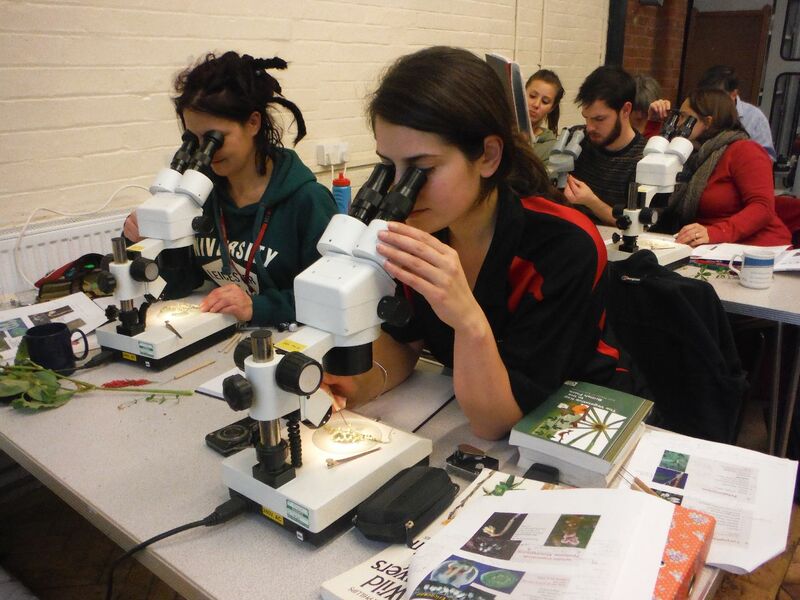 Undergraduate and Postgraduate Plant Study Grants of up to £1,000 are available to botany students. Applications for Plant Study Grants in 2019 have now closed and successful applicants will be contacted in the next few weeks. Applications open again in January 2020. Science and Research Committee runs a small grants scheme to support research to enhance knowledge of the flora of Britain and Ireland. These grants are aimed at PhD students, academic researchers and amateurs working on research. The work should be capable of resulting in a scientific publication. Applications for 2019 have now closed and all applicants have been notified. The next round of applications will open on 1st January 2020. Here's the BSBI SRC grant application form 2019 to give you an idea of how to apply. **Bentham-Moxon Trust: providing financial support for botanical collections and research that further the work of the Royal Botanic Gardens, Kew. **British Ecological Society: these grants are made to amateur and professional scientists undertaking surveys of habitats which are threatened or of special ecological interest or which have a history of ecological work. **The Botanical Research Fund is a small trust fund which makes modest grants to individuals to support botanical investigations of all types and, more generally, to assist their advancement in the botanical field. Grants are available to amateurs, professionals and students of British and Irish nationality who are resident in the United Kingdom or Ireland. Where appropriate, grants may be awarded to applicants in successive years to a maximum of three. Most awards fall within the range of £200–£1000. The next deadline for applications is 31st January 2019. Further details may be obtained from Mark Carine, Hon. Secretary, The Botanical Research Fund, c/o Department of Life Sciences, The Natural History Museum, Cromwell Road, London, SW7 5BD. Email: m.carine@nhm.ac.uk. **Systematics Research Fund: The Linnean Society of London and the Systematics Association have pooled resources in order to provide a small-grants (<£1500) fund for systematics research, available to all researchers regardless of nationality or society membership. Applications must be submitted electronically by midnight of 15th December each year for consideration for awards announced the following March. Further details and electronic forms are downloadable from:www.systass.org. **The Wild Flower Society offers four different grants: there are grants to Wildlife Trusts and similar organisations for running botanical training courses for their volunteers; grants to support the publication costs of botanical books, for example, county Floras; grants up to a maximum amount of £1000 for students aged 18-30 to attend Field Studies Council courses; and grants, typically up to £250, to support botanical research projects that contribute to plant conservation or that further botanical education or the promotion of field botany. Find out more about Wild Flower Society grants and how to apply for them here. Students can apply for bursaries towards the cost of attending conferences, including BSBI conferences. We are in the process of preparing guidelines to help applicants. Meanwhile, please apply direct to Dr Sarah Whild. BSBI makes small grants available towards the publication of County Floras, check-lists etc., typically £2000. Application forms are available from BSBI's Publications Committee.